Anyway, 2015 gave us some great action flicks, but one stands out above the rest. This is one insane movie. Though it manages to add some interest and depth to the characters, and even has a good story, it’s still the ludicrous, high-octane set pieces that steal the show. After a short setup of the plot, the characters all head out to the titular Fury Road while driving an array of deadly vehicles. Then it keeps escalating into bigger and crazier things. 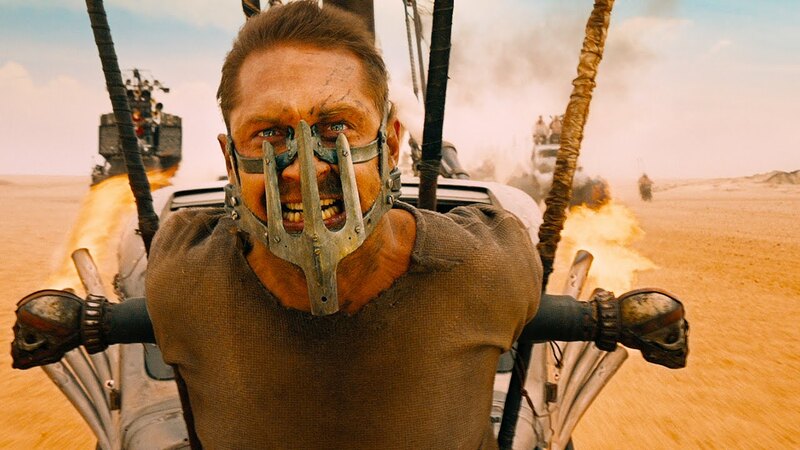 Rarely does Mad Max: Fury Road let up. It is wise enough to hit the breaks a couple of times, but it quickly gets back to high speed chases and some gruesome action. On paper, it may just sound like Mad Max got a Fast & Furious overhaul, but this is really a movie that needs to be seen to fully believe it. Some of the imagery and characters are so odd and/or insane and combined with such extravagant action that the experience can feel close to surreal at times. The other day a friend of mine asked me what my favorite action movie of all time was. I had never thought about that question, but Fury Road was the first one that came to mind. It sounds about right. It is spectacularly awesome! Isn’t it nice seeing a post-apocalyptic movie in the 2010s that’s both action-packed and as far away from pretentious as possible? It’s essentially one long action sequence with an amazing cast of characters. On paper, it doesn’t sound it should be possible to blend those two aspects together, but George Miller found a way.